With Australia a preferred destination for property investment, a growing number of people are getting involved at all levels of real estate, from buying a home to real estate professionals working in the industry. Whilst those who have been in the real estate industry for quite some time are sure to have established their own network across various traditional avenues, the rise of social media as a way to connect has meant many are also utilising social media to connect with like-minded people and potential clients. To date, to connect you’ve really had to find your own way on the somewhat generic social media platforms like Twitter and Facebook, forming your own specific groups to privately discuss matters related to property. 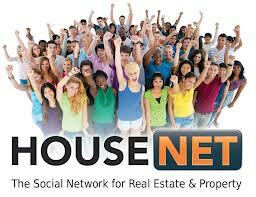 That’s why it is great to find a site like housenet.com.au catering entirely to all things real estate. Housenet.com.au, the brainchild of two Australian lads – Darren Moffatt and Ben Carew, offers social networking for anyone interested in real estate, be they homeowners, sellers, buyers, investors, builders, tenants, brokers or real estate agents. Plus, it’s free to join. HouseNet.com.au utilises a custom social networking technology that allows members to share information, news and tips. They can even share property documents in a secure manner. Apart from establishing connections in real estate and sharing information, the site also offers a platform for listing property. This means that a member, regardless of his or her status, can list properties for sale or for rent and connect with interested parties directly on the site. As well as promoting easier connections among members interested in real estate, the site aims to provide better value for business, a more transparent property market and improve results from housing deals. This social network for real estate provides all the usual features we’ve come to love when using social media: a newsfeed, blogs, Q&A forums, uploading photos and videos and sharing events. There is also a useful documents feature for real estate where you can load up your documents for sharing with your connections, anything ranging from bills, invoices and contracts to property reports, marketing materials and sales brochures. The marketplace is where you can list real estate for sale or rent while members can be featured in the Property People section. To become a member of this site, just register using the online form. You can also join through your other social networks, using the social media buttons available on the site. As Housenet.com.au is in Beta, the developers of HouseNet welcome suggestions as to what might further improve the site moving forward so feel free to drop them a line with your suggestions. Social Property Selling is the brainchild of Wendy Chamberlain, a trainer, speaker, International best-selling author and online engagement strategist who combines her online savvy with her passion for real estate to show sellers and real estate agents alike how to achieve a better price when selling a home. To receive your FREE Special Report and how-to articles to expand your real estate toolkit, visit www.SocialPropertySelling.com.au.